Harness the power of the wind with one of Troy-Bilt’s most powerful handheld blowers: the TB2MB Jet mixed-flow gas leaf blower. The 27cc motor offers you air speeds of up to 130 mph, more than enough to clear even the peskiest of debris. The 2-cycle engine, variable speed settings and innovative switch design ensures that you remain in control of your work, despite the impressive power on display. The ergonomic handle and excellent weight distribution mean any job can be accomplished in one go and without unnecessary strain on your hands and back. The impressive-looking TB2MB Jet Leaf Blower is a throwback to the “good old days” when it comes to hand held leaf blowers. However, the performance is seriously impressive, with one of the strongest motors on offer churning out an industry-leading 650 cfm at a max speed of 130 mph, more than enough to shift even the most stubborn of leaf/debris piles. Importantly, this power is available regardless of the speed setting chosen, meaning you have maximum control at all times, without losing effectiveness that sets this product apart. The wide nozzle is perfect for swiftly dealing with big jobs. The control set is simple and easy to use, even for beginners, which is unusual for gas powered blowers, which are usually a little confusing to start. The cruise control option is great and allows you to focus completely on the job at hand, without needing to constantly regulate the motor. The TB2MB Jet blower expels an impressive amount of air – reportedly 650 cfm worth. At a max speed of 130 mph, this means that the machine makes clearing a path a dream, easily dislodging leaves, grass shavings, pine needles, sticks and stones, and even clods of wet garden/soil. This is comfortably one of the most powerful hand held blowers I’ve ever worked with. The speed is not directionless and the angle and balance of the machine give it great control over what you’re blowing. The variable speed settings (accomplished through an intuitive throttle switch) give you added control, although reducing the speed doesn’t reduce the strength of the compressed air. The wide nozzle is great for clearing a large space, but is a little lacking for more refined spaces, requiring a more narrow stream of air. The Troy-Bilt TB2MB Jet Blower only comes with three pieces: the blower engine unit and a two-part blower nozzle. All of which snap in right out of the box. Despite this easy assembly, the pieces are secure, so much so that a screwdriver is needed to detach the pieces. This means that it is important to ensure that everything is correctly lined up when assembling. Being a gas powered blower, first time users will likely be unfamiliar with the type of fuel and oil to use and the ratios needed, but these are well set out in the user manual. 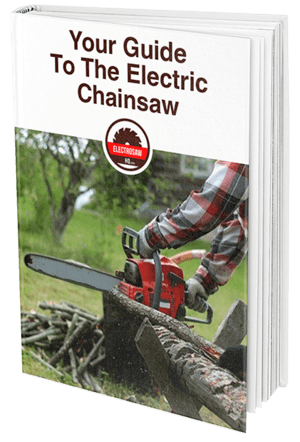 The manual is in English and is straightforward and easy to follow. A sample pack of fuel is included with the unit. For a pull start blower, the TB2MB Jet Blower is very easy to start, requiring a gentle pull of the primer, an opening of the choke and a pull of the cord. Even beginners are usually able to start the engine with just a few pulls. The speed control throttle can be locked, which significantly assists beginners when using the product. Nothing about the TB2MB Jet Blower feels cheap or brittle. The sturdy design is complemented by quality parts and the machine feels strong and dependable in use. Whilst the nozzle is easy to attach, it is very secure when fastened and requires a screw to dislodge, which gives me great peace of mind when using the product. All of the working parts for the pull start motor are simple and sturdy and can take repeated use. The only drawback to the design is that, given its weight, many people will need to start the machine on the floor. There are no protective feet to support the motor when starting and this feels like it may put strain and potentially damage the motor over time. The blower is very striking and attractive, with a classic/retro look given its gas-powered motor that still doesn’t look or feel like a relic. The semi-opaque nozzle displaying the inner workings of the air compressor looks very impressive, especially when in use and the machine cuts a striking figure when being held (one-handed). The ergonomic handle is very comfortable and the machine feels very balanced when in use. However, it is not the most comfortable machine to use over extended periods. Its weight (which is consistent with gas motors) makes it difficult to operate one-handed for more than 10 minutes, even for stronger individuals. The design is quite bulky and requires you to turn your whole body around when blowing in different directions. The motor gets very hot with extended use and the vibrations can be a bit off-putting over time. 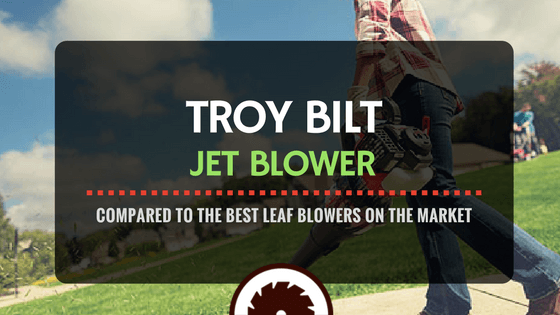 The TB2MB Jet Blower is one of the most powerful leaf blowers available and will be more than powerful enough for even the most ardent of blowing tasks. The parts are sturdy and of a high quality and the machine comes with a 2-year warranty, backing up the feeling of good engineering. The product is very competitively priced compared to similar models and often comes out cheaper in comparison. Given the amount of power afforded by this machine and the solid engineering standard, the TB2MB is great value for money. 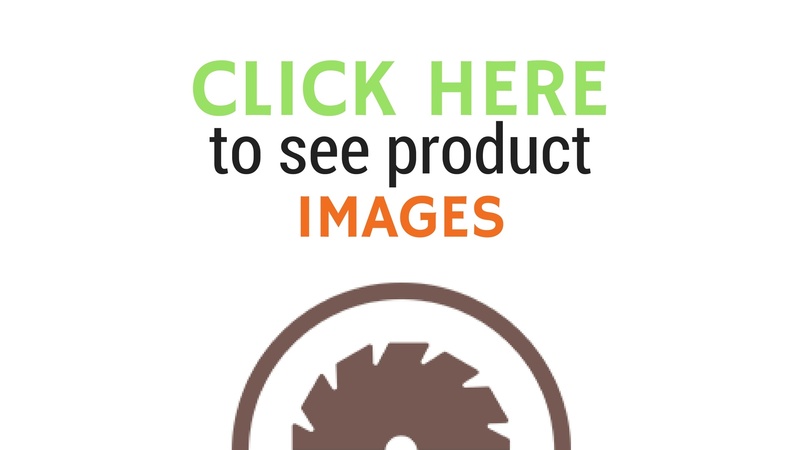 The Hitachi RB24EAP 23.9cc leaf blower is designed with longevity in mind. It comes with a 7-year consumer warranty, which is one of the best I’ve seen on any leaf blower. It is also certified 300 HR EDR, which is the highest seal of longevity possible. The blower is designed to tackle big jobs with ease and has an impressive output of 441 cfm and a max air speed of 170 miles per hour! The big nozzle and high pressure makes it perfect for people who need to complete one or two big jobs quickly. The commercial grade, PureFire, low-emission engine promises fewer fumes, making the machine safer for those using it and less harsh on the environment. The lightweight design and easy grip handle make the blower very comfortable to use one-handed, even over a longer period of time. A shoulder strap can be purchased as an optional extra, which makes the blower even easier to use. The lack of a lock button/cruise control option is a little frustrating, however. The Husqvarna 125B 28cc leaf blower is a light-weight powerhouse. Weighing in at a tiny 9.4 lbs, it delivers an extremely competitive 425 cfm air volume and has a max speed of 170 mph! Like the Troy-Bilt Jet Blower, the Husqvarna comes with a cruise control feature, which makes it a breeze (pun intended) to use over extended periods, allowing you to really take advantage of the lighter weight. The nozzle is adjustable in length, which gives you great control when trying to dislodge debris in tighter areas, like steps. The nozzle has also been angled so that it’s inline with the handle, simplifying the process of aiming the powerful gusts of air at your debris. The ergonomic design of the handle and button placement, as well as the weight distribution, is specifically designed to reduce fatigue on hands and shoulders. The tube/nozzle’s flexible length does minimize the security with the device as a whole, and the heavy vibrations during use can dislodge the tube from the motor. The Remington RM125 is powered by a 25cc gas powered motor. The motor is extremely powerful and has a power output of 400 cfm and reaches max air speeds of 180 mph! The 3-step start-up is similar in design to the Troy-Bilt TB2MB and is quick and intuitive, which is great for novice leaf blower users. It also comes with a built-in cruise control setting, which is great for longer jobs and for improving control. A little heavier, although still comfortable to use, the Remington is backed by a 2-year warranty. The vibrations in the handle, like most products in this class, can be a bit jarring. The pull start can also be a bit difficult to get the hang and feels a little low in quality.